Today Disney has announced a highly-anticipated expansion of its mobile app offering. Disney Parks first debuted a the app called Mobile Magic in 2009, providing Verizon users with access to theme park wait times, show times, Fastpass return times and availability, character information, GPS-enabled maps, and more. 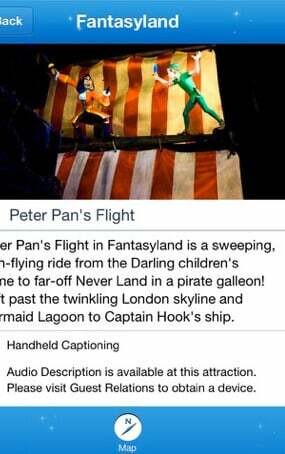 And after promising it in Aug. 2011, Disney Parks today has released Mobile Magic for iPhones everywhere. Mobile Magic is now available to download for free via iTunes. The app covers theme parks in the Walt Disney World Resort and Disneyland Resort, including Magic Kingdom, Epcot, Disney’s Hollywood Studios, Disney’s Animal Kingdom, Disneyland Park, and Disney California Adventure, plus other popular locations like Downtown DIsney, Blizzard Beach, and Typhoon Lagoon. 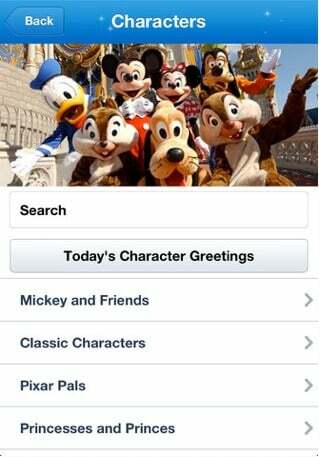 Each area in the app offers helpful information for better navigating Disney’s resorts. Inside theme parks, GPS-enabled maps allow visitors to view locations of attractions with photos, descriptions, height requirements, and even access official wait times to ride or see a show. Character greeting times are also accessible along with whether or not Fastpasses are still being distributed for an attraction. 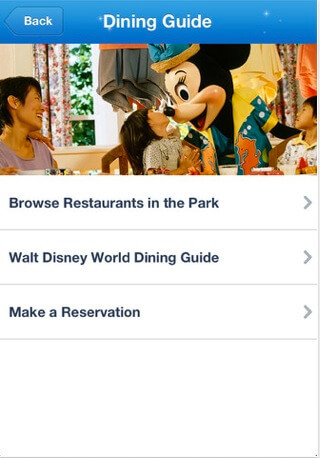 Guests can also browse and make dining reservations from the Mobile Magic app. Mobile Magic was previously exclusive to Verizon and Disney Parks has now offered Verizon users a few “premium” features including videos, a “Pirates” trivia game, Disney Character Puzzle, and Disney Character Quiz. Though Mobile Magic is now free for iPhone users to download and enjoy, message and data rates may apply. Ricky, Any word on an Android version? Thanks Jeffery, I’ll check it out.